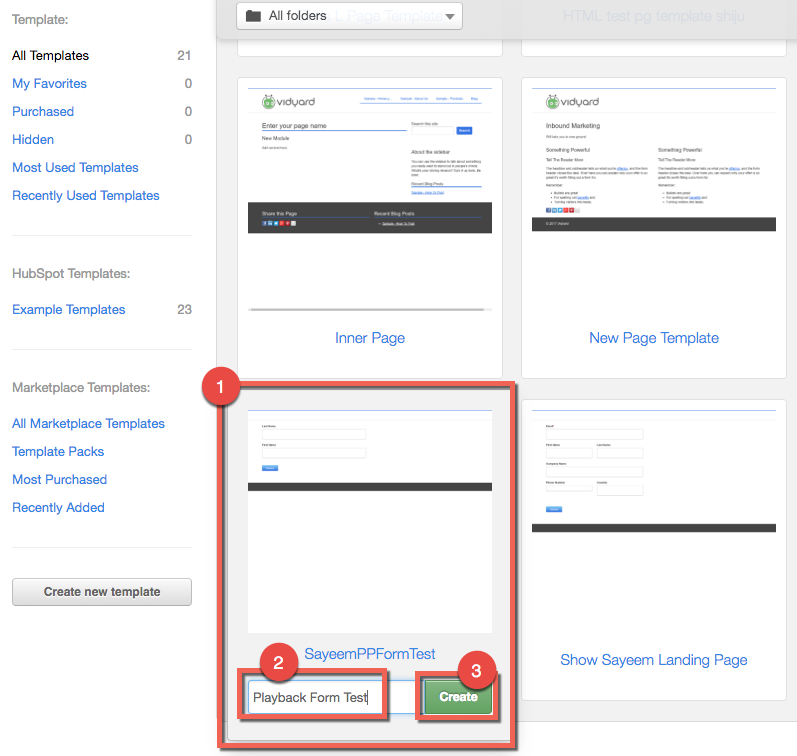 Displays the full set of MAP (Marketing Automation Platform) fields. Able to be styled using MAP HTML/CSS tools. 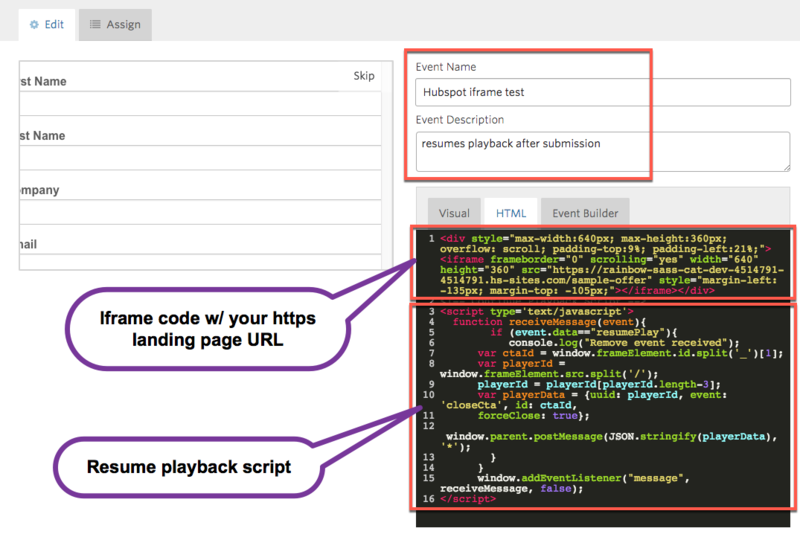 Captures lead data on the same MAP cookie as other landing pages. (Preventing multiple records from being created for the same contact). Embedded MAP forms sit on the Vidyard domain, so a web browser assigns a different cookie to the viewer than it would if they had visited your MAP's native domain. We cannot design or style the form using the MAP's HTML/CSS tools with this method. Vidyard forms currently cannot send more than a few details to the MAP, such as name, email & company name. 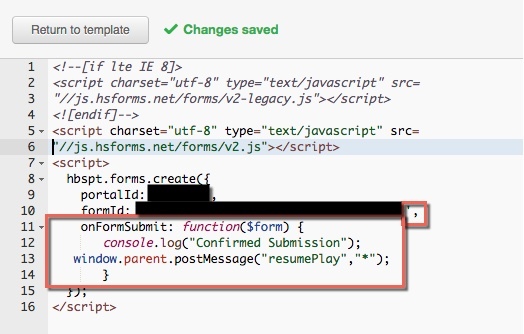 Once complete, save the form and click Embed to view the HTML. Note: Hold onto the embed code (you may want to paste it into a blank text document). You will need it after your landing page has been created. Create a new landing page template. Ensure that your template consists only of a basic HTML module. 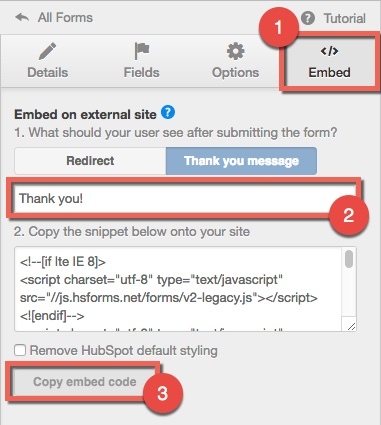 Paste the embed code from your Hubspot form into the HTML editor. Note: Ensure that you have SSL enabled for your Hubspot landing pages. This is required so that your landing page loads using HTTPS. In a new browser tab, sign in to Vidyard. Click the Assign tab to place the event on a video. From the Vidyard dashboard, hover over the player, select Share > Copy Link for the Sharing Page. Note: Depending on the design of your form, you may need to further configure width, height and other variables afterward so that the final product suits your needs.